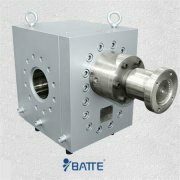 Melt pump as a high internal pressure vessel, containing a variety of different melts, and sometimes to the nose to provide pressure 20-30 Mpa polymer melt, strength requirements for the pump body is important, so the pump usually requires light weight, high strength, good stability. 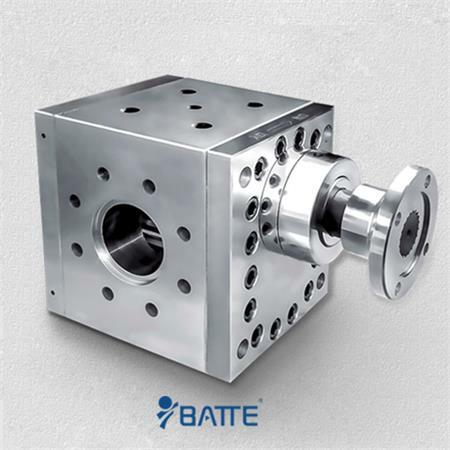 And some melt abrasion is strong, so the pump body and gear are made of alloy steel or stainless steel (such as: chemical melt pump). Gear surface hardening such as nitriding. It has very good torque transmission characteristics and is not easy to fracture under high load. However, the hardness difference between metal surface and interior is too big, which is easy to cause the extrusion damage of hard metal to soft metal layer. 2. Hardenability treatment. The gear with this technology has a good anti-wear ability, and will not cause the entire gear failure quickly because of the damage of the surface layer. 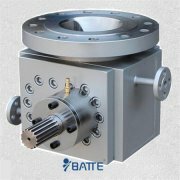 The disadvantage is that the gears are harder and easier to destroy, and are sensitive to torque and vibration. 3. Hardening after hardening treatment. 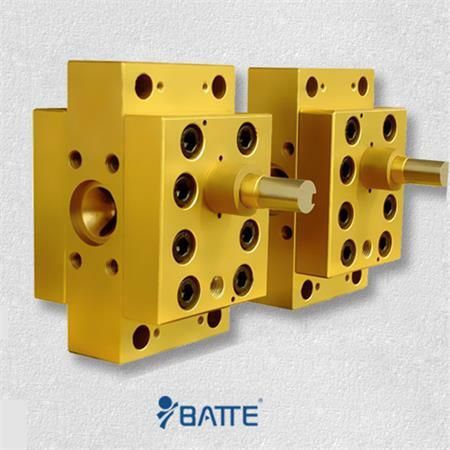 This treatment will not make the surface and internal hardness difference is too big, with a strong resistance to surface damage and excellent transmission torque and other properties.